Chinese characters, in their original form, were beautiful and appropriately reflected images in the minds of the ancient Chinese who met their understanding of reality. 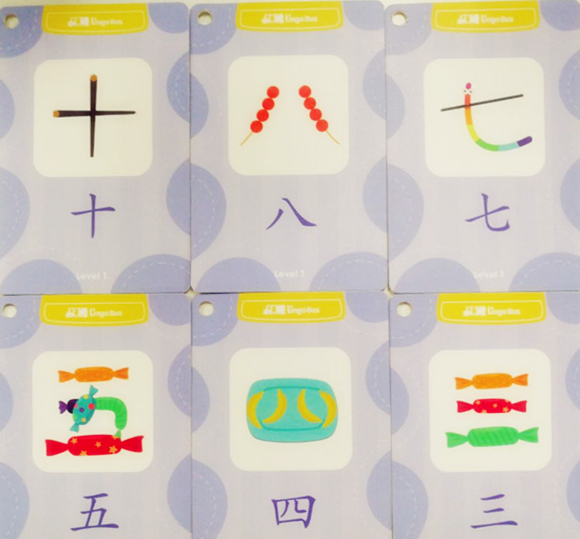 Character learning is a challenging but fun part of online Mandarin Chinese class. The Chinese selected the way to express meaning through figures and images, and Chinese characters started with drawings. So what is the history of Chinese characters? It is difficult to determine the specific time at which the Chinese characters appeared through Chinese history and culture. 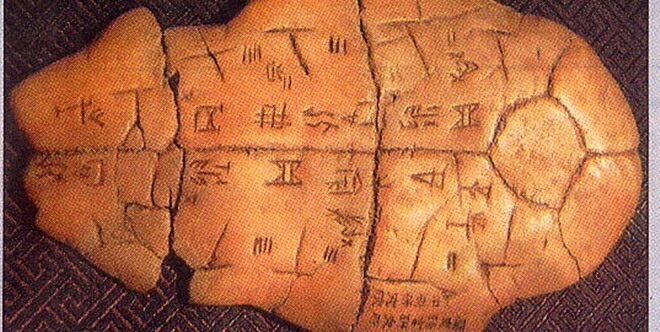 There are three ancient myths about the origin of Chinese characters. The first refers to the belief that Chinese characters were made by Fu Xi – the first of the three sovereigns in ancient China, who has drawn the eight trigrams that have become Chinese characters. The mysterious eight trigrams used for divination are composed of the symbols “-” and “- -“, representing respectively Yang and Yin. Yin and Yang go together and form eight areas with three pairs in one group, indicating different natural phenomena and things. But these basic symbols are far removed from the inscriptions of the oracle (the inscriptions on animal bones and turtles). That is why the first statement was denied by most sinologists. It is hard to believe that Eight Trigrams are the origin of Han characters. The second is that Chinese characters were created using buttons. It is said that the recording of events by knots began with Emperor Shen Nung (about 2838-2698 BCE), so Chinese characters were invented by Shen Nung. Many experts thought that people tied knots on rope to remember something and knots could be used by almost all primitive people, but it is not possible that they have evolved to writing or have functioned as language. This indicates that it is impossible for Chinese characters to be made by using buttons. The last popular myth is that Cang Jie, historical columnist of the Yellow Emperor (forerunner of the Chinese people) more than 5000 years ago, was the inventor of Chinese characters. According to ancient writings, Cang Jie had four eyes and four pupils who could observe different things of the world. When he raised his head, he could understand the shape of the stars in the sky; when he lowered his head, he could distinguish the traces of birds and animals on the ground. 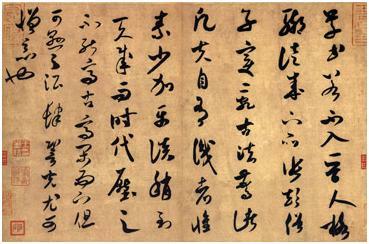 That is why he invented many symbols to represent different objects and things that were the oldest Chinese characters. When he invented the characters, the sky rained the grain and the ghosts screamed at night. 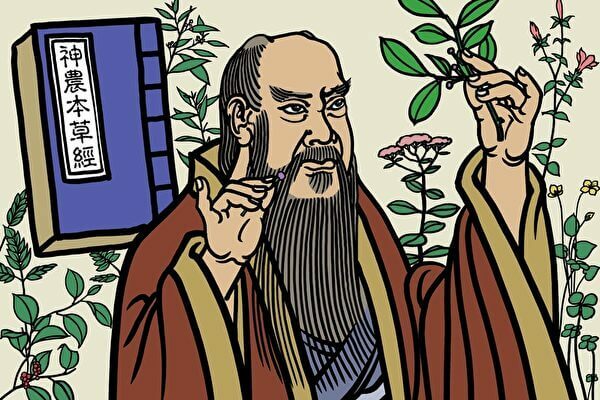 Xunzi (the book that collects the well-argued essays of Hsun Tzu – a Chinese Confucian philosopher) and other ancient books also mentioned the myth of Cang Jie. Apparently, it is difficult to accept that the characters are made exclusively by a person. The characters are most likely invented by a number of people, each of whom has engraved a number of figures or has drawn a few images. Cang Jie, if it existed alone, would be one of the very learned people who could collect and regulate the different symbols and tell people the corresponding meanings so that people could remember something important in their lives. Moreover, from a scientific point of view, the appearance and form of any form of writing that must meet the needs of social life must certainly have gone through a considerably long period of course and development. Chinese characters are a huge and complicated system, and they could have originated during a long course of work and life. However, the relationship between Cang Jie and the creation of Chinese characters cannot be completely denied. The most important information we can discover from the previous records is that Chinese characters are ideographic and come from drawings. Here are a short comparison between Chinese and English. The differences between the two languages are also discussed in another blog. Chinese characters are icons and play the function of expressing ideas. There are about 2500 the most used characters in Chinese. A Chinese character is like a photo. With the combination of different characters, you can express infinite meanings with limited Chinese characters. In English people create words with 26 letters, but they have to make more and more English words to represent the new concepts and things. English emphasizes the structure, while Chinese focuses on the meaning: in English, it is very common to see a long sentence with a long modifier and the use of pronouns like “we”, “she”, “she” next to “that” and “what”, to prevent repetitions. The sentence can be long and complicated, but it is still clear enough to understand. In Chinese, the situation is very different: a long sentence in Chinese is very complicated and can not be well understood. Not only that, Chinese is also a tonal language with four different tones, usually marked with accent marks, and the unmarked represents the neutral tone. The accent marks are only available when using PinYin to display the pronunciation. Chinese characters are Pictograph. This means an image of a word or an idea. 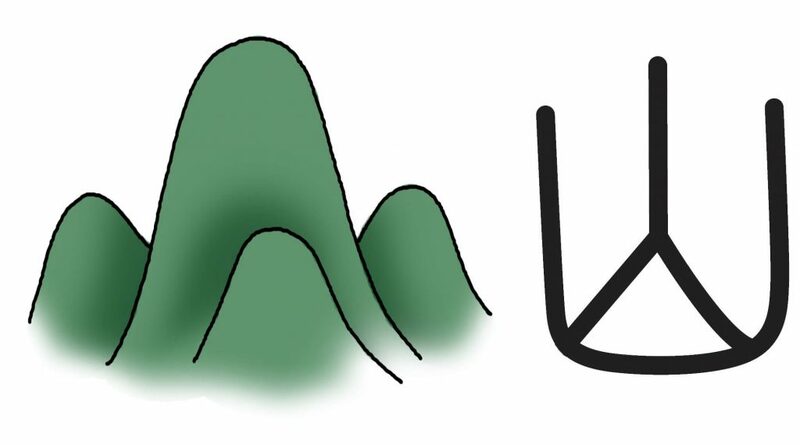 Pronunciation differs between Chinese and English – Four tones are the unique characteristics in Chinese. All Chinese characters are monosyllables with tones. It is extremely effective in expressing an idea. Although English words are also literal, most words are polysyllables. In this way, a meaning in Chinese can be expressed more easily by using monosyllabic and different tones, while the specific meaning can be expressed in English by using at least a polysyllable. We can clearly see the interesting fact that Chinese people emphasize short and clear expressions so that the listener (or reader) can easily get the correct meaning of the expressed idea. For this purpose, Chinese prefer simple and short sentences rather than long and complicated ones based on the language grammar. English sentences are usually longer because they have to be specific. Moreover, the Chinese also omit repeated words to make sure that the listener (reader) does not misunderstand the meaning of the sentence.